Water in your work boots makes you an unhappy man, unless you're amphibious. We're guessing you're not. We're also guessing that since you're not amphibious, you'd love to wear these Danner Men's 12433 Leather Crafter 6-Inch EH Waterproof Brown Boots. When the g ... (see full details) (see specifications) #DNN12433. Water in your work boots makes you an unhappy man, unless you're amphibious. We're guessing you're not. We're also guessing that since you're not amphibious, you'd love to wear these Danner Men's 12433 Leather Crafter 6-Inch EH Waterproof Brown Boots. When the going gets tough (or wet), the tough get waterproof boots. That's why this footwear is manufactured with durable, oiled, waterproof Nubuck leather uppers as part of the Danner Dry system. The nubuck effect on the leather gives these leather boots a soft look and feel, much like suede. But Nubuck leather is considerably stronger than suede. This system also features a breathable waterproof liner for extra protection against soggy feet. Another great system on these men's shoes is the Danner Comfort System. This features wider toe boxes for a more comfortable, responsive fit and patent-pending footbeds that combine underfoot channels and venting for maximum airflow. The broader toe boxes (along with the anatomical fit) gives you a more athletic and responsive fit. The ultra-plush, dual-density footbeds give you maximum comfort and breathability. And, finally, the Airthotic heel clips give you additional support. Roomy, breezy work footwear? How are your feet going to feel about that? We'll hazard a guess ,and say, "Freakin' great!" For additional arch support, these brown boots have fiberglass shanks. To support you even more, the rubber outsoles feature 90-degree heels that "bite" into ladder rungs, so you can climb confidently. They're also oil- and slip-resistant for added durability and traction. And, to keep you safe from shocks, this waterproof footwear meet ASTM F2892-11 standards for electrical hazards. Keep dry, safe and happy in a pair of Danner Men's 12433 Brown Leather Crafter 6-Inch Waterproof EH Boots by ordering yours from Working Person's Store. I have had several pairs of Danner boots and these do not disappoint. I would recommend these to anyone interested in a quality boot. They are durable, comfortable, and well worth the money. If your looking for a great pair of boot look no futher. My last pair of Danner boots lasted me 5 yrs working as a union laborer. I guarantee they will meet or exceed you expectations. I did not buy these from Working Person's store. Bought them from Danner, but since I buy things here, thought I should review. These are comparable to a $59 department store boot. The bottom eyelets on the left boot were very noticeably crooked, and they were uncomfortable. I tried breaking them in by wearing them for a while, but it didn't help. The worst thing was they started to make an annoying creaking noise when stepping on the heal. About drove me and a co-worker nuts. Couldn't get credit for them on a return, because I had worn them outside. I understood this, but sent them back anyway, because they were no use to me. Since they couldn't do a refund, they sent another pair(I didn't realize they were going to do that.) This pair is all scuffed up, one heel creaks, they are uncomfortable, and the bottom eyelets on the right boot are crooked. I don't usually take time to review things, but hopefully, this will save someone else from wasting their money. Again, this is a review on these Danner boots, bought directly from Danner. Working Person's Store has always been great. 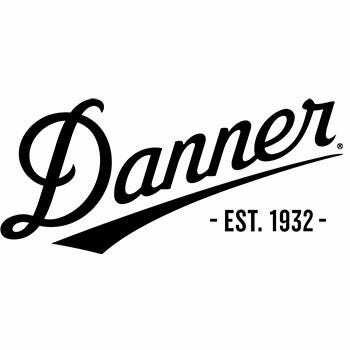 Danner Boots: Men's 12433 Waterproof EH Brown 6-Inch Slip-Resistant Boots is being added to your cart.